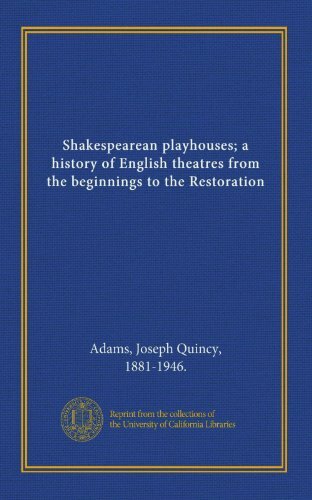 Shakespearean playhouses; a history of English theatres from the beginnings to the Restoration. About Joseph Quincy Adams (Author) : Joseph Quincy Adams is a published author. 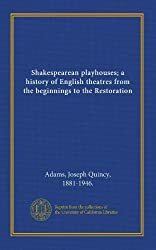 Published credits of Joseph Quincy Adams include Shakespearean Playhouses: A History Of English Theatres From The Beginnings To The Restoration.